A majority of Android smartphones come with a complete set of pre-installed Google Apps. These pre-installed Google applications improvise our overall Android experience. Surprisingly, Google has published around 100 applications. A majority of apps by Google are highly underrated. So here’s a list of some amazing apps by Google that are worth checking out. The first best Google app on the list is Photoscan. 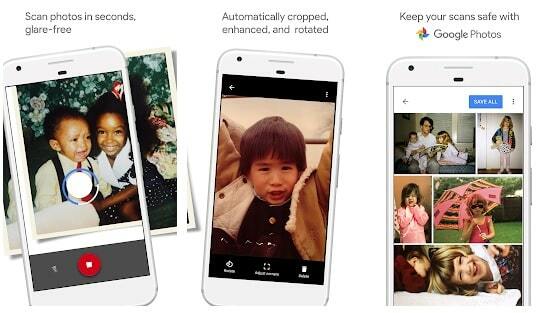 As the name of this free Google app suggests, PhotoScan allows users to scan and convert a physically printed photograph and convert it into a digital photo. Using PhotoScan you can convert all of your old photos into sharable digital formats. The UI of this application is very simple and detailed instructions make the scanning process fairly simple. Yes, you read it right Google also has a dedicated wallpaper application. The Google wallpapers application has an extensive collection of high-quality wallpapers from different locations like Google Earth, Google+, and many other sources. Additionally, the application automatically changes the wallpaper every day from the preferred category of the user. 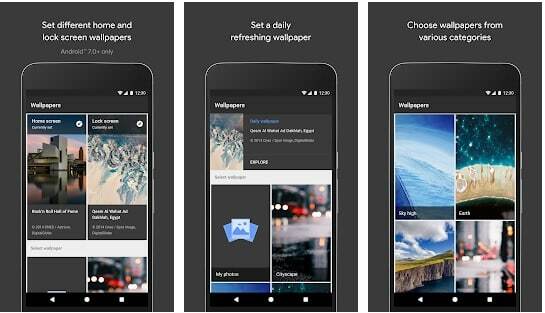 Overall, Google Wallpapers is a great wallpapers application and it will definitely help in improving the visual appearance of your smartphone. The next best Google app on the list is YouTube Kids. This special version of YouTube is dedicated to kids and it contains only learning & entertaining content that is appropriate for kids. 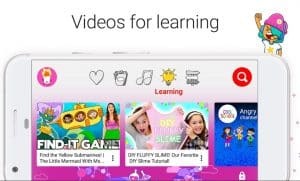 Youtube relies on a mix of filters, user feedback, and human reviewers to keep all of the videos on YouTube Kids family friendly. As a parent or guardian, you can even create viewing preferences, video recommendations, and manage settings for your kids. Overall, YouTube Kids is a good source for children to learn and explore the world through video-based content. If you have been scouting for a feature-rich fitness app then Google Fit might impress you. Google Fit is free to use fitness application and it’s the jack of all trades. 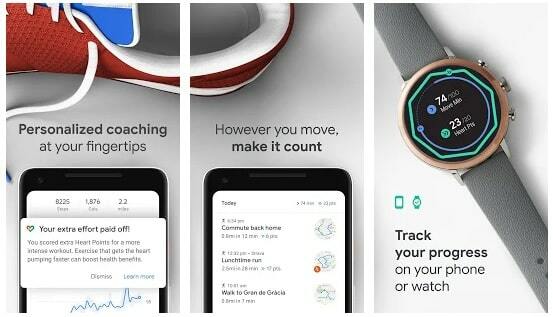 Using Google Fit you can track your workouts and gather see real-time stats for your runs, walks, and bike rides. The app records all of your active minutes and rewards heart points to motivate users. Lastly, since the application is developed by Google it’s undoubtedly accurate. The next best Google app on the list is Google Opinion Rewards. 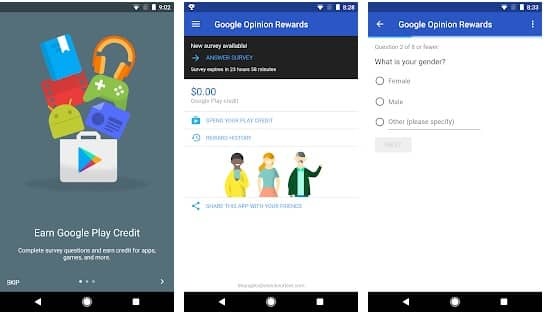 Using Google Opinion Rewards Google Play credit by answering simple survey questions. Google sends these surveys around once a week and it consists of fairly basic questions. You can earn receive up to 32.50 in Play credit for completing these simple surveys. The Google Play credits can be used to purchase anything on the Google Playstore. 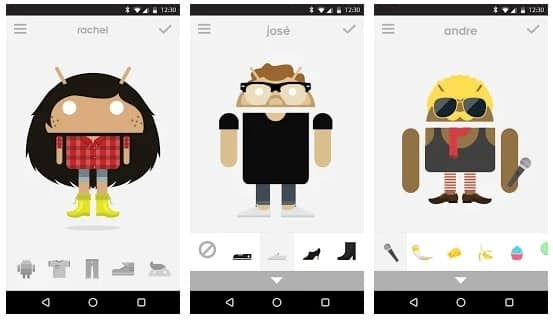 Androidify is a fun application that allows users to create, accessorize and share Android characters that look similar to them. You can use your Android Avatar as emoticons, animated GIFs and pictures over texts. These characters can be used on all major messaging applications. Androidify saves your Android Avatar as a GIF file. 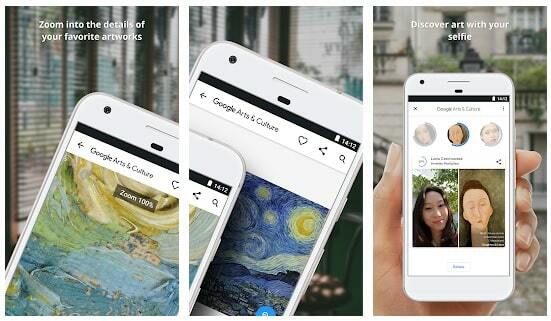 The name says it all Google Arts & Culture helps users to explore the Art and Culture in a simple yet interesting way. This Google app consists of around 1,200 museums, galleries and institutions from 70 different countries. Google Arts & Culture provides zoom views, virtual tours, detailed articles, and eye-pleasing images for popular arts and cultures. Overall, Google Arts & Culture is an interesting learning application and useful for those who want to explore different cultures. 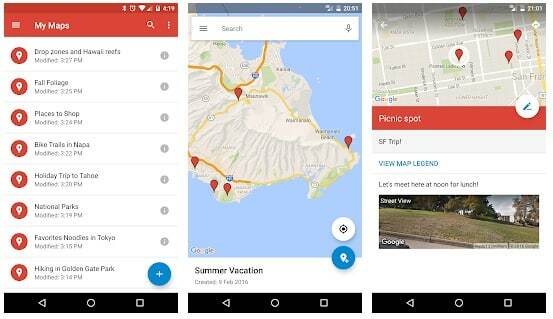 As the name of this application suggests, Google My Maps allows users to create and share custom maps. You can use these custom apps to remember your favorite places, explore new cities, or plan vacations. Additionally, custom maps can help users to navigate someone who is visiting a new place. The app allows users to add a title and detailed description for custom maps. Lastly, custom maps can be seamlessly edited both on web and smartphones. The next best Google app on the list is Chrome Remote Desktop. Using Chrome Remote Desktop users can manage a PC using a different PC or even a smartphone. Unlike, TeamViewer Chrome Remote Desktop is completely free to use. 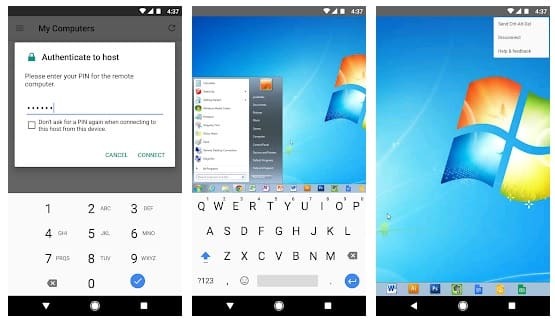 In addition to that, setting up Chrome Remote Desktop on smartphones and computers is fairly simple. The last best app by Google on the list is Files by Google. Well, Files by Google is a feature-rich file manager and its a jack of all trades. 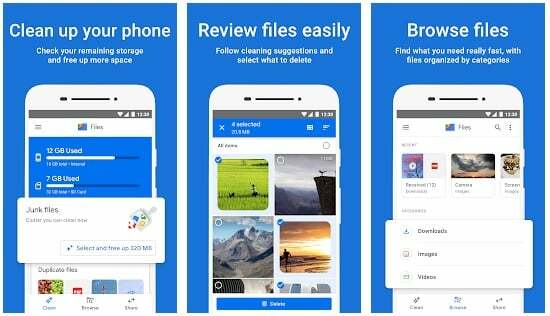 In addition to reliable file management tools, Files by Google also allows users to free up space with cleaning recommendations. Files also work as an offline file sharing tool, with fast speed of up to 480 Mbps. Furthermore, Files by Google also boosts your phone’s performance by cleaning up junk from your smartphone. So these were some of the best application by Google that are worth checking out. Do share any of your personal recommendations for the best Google apps in the comments section below.